The blizzard is over, the snow has mostly moved on, but Southtowns residents are still hunkering down. As driving bans were still in effect this morning in several municipalities south of the city, most streets were eerily empty. Even in the Town of Boston, where the driving ban was lifted in the 7 a.m. hour, very few vehicles had ventured onto roadways this morning. 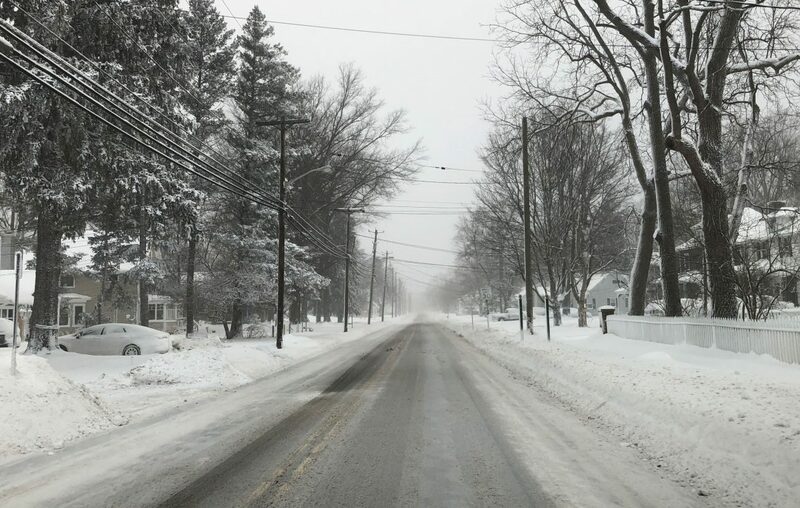 Throughout much of Hamburg and Boston, roads were as clear of snow as the single-digit temperatures would allow. 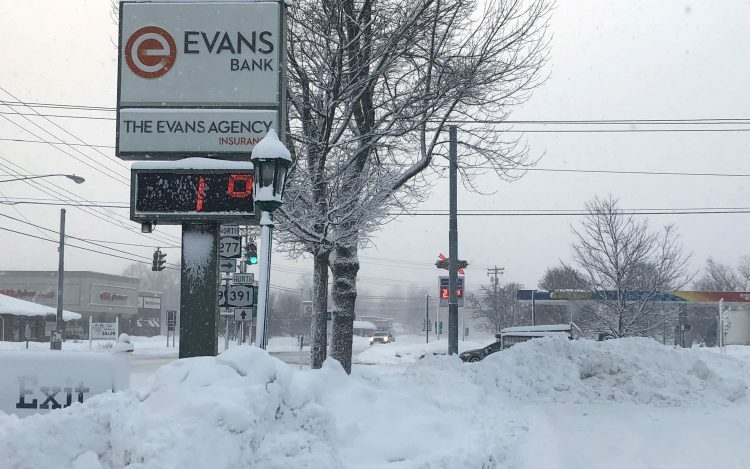 A thin layer of packed snow remains on most streets, and the frigid conditions have kept ice on even well-plowed highways. In North Boston, a state DOT worker was working to clear the on-ramp to Route 219 at Boston State Road shortly after 8 a.m. The highway remained closed this morning, with lowered swing gates blocking the entrances. Not far away, a tractor-trailer driver unable to get on the highway was biding his time in a gas station parking lot. In the Village of Hamburg, snowblowers and shovels far outnumbered vehicles. A picturesque coating of snow hung on trees, framing a scene that was more serene than Wednesday. Light snow continues to fall intermittently in Boston and Hamburg, but winds have died down. The cold, however, seems to have frozen life in the snow belt for at least another day. Brian Connolly – Brian Connolly is the publisher of The Sun newspapers and a Buffalo News vice president responsible for business development and innovation. For seven years, he was The News’ managing editor, overseeing day-to-day operations of the newsroom. He previously worked as The News' online editor and Gusto editor. A Hamburg native, he has been at The News since 2003.